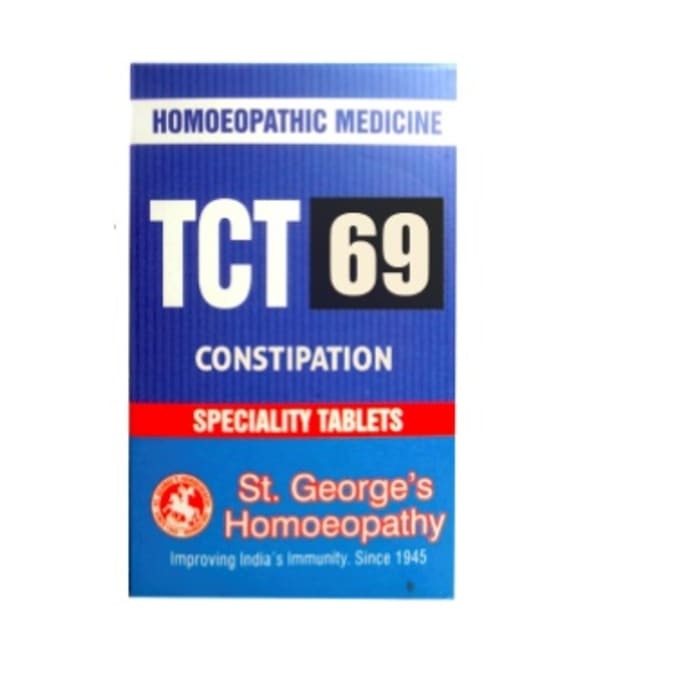 St. George’s TCT 69 Constipation Tablet: is a homeopathic remedy to treat constipation and related issues such as liver torpid, stools dry, hard and black, dull headache, foul breath, bad taste in mouth; tongue coated. These tablets are prepared using a special formulation to treat almost all diseases that are curable. It is known to provide remarkable results when used for an extended period. Take 4 tablets at a time, 4 times a day at an interval of 3 hours.